As experimental book projects and art publications à la 'Printed Matters' keep flourishing round the globe, ‘Manuel’ explores the potential as the fanzine as a portable exhibition – a printed take on Duchamp’s Boîte-en-Valise, or art show in a suitcase, if you like. Inspired by 90s D.I.Y. publications, young French artist trio Io Burgard, Chloé Curci and Hélène Garcia decided to create a bi-annual, nomadic project: each issue is launched in two art spaces in two European cities, starting with Brussels and Paris. For every issue, a theme is announced online, with an open submission system; the first will be launched mi-January and is themed around ‘The Death of the Icon’. It will include contributions from renowned French artists Claude Lévêque and Claude Closky, novelist Thomas Lélu. Each issue is also crowd-funded with benefits: in exchange for a monetary contribution, one receives various gifts, copies of the magazine, prints of some of the art works. Dazed Digital talks to Manuel contributor and Parisian photographer Clément Dauvent about the morbid power of snapshots and how social media culture has affected classical iconography. 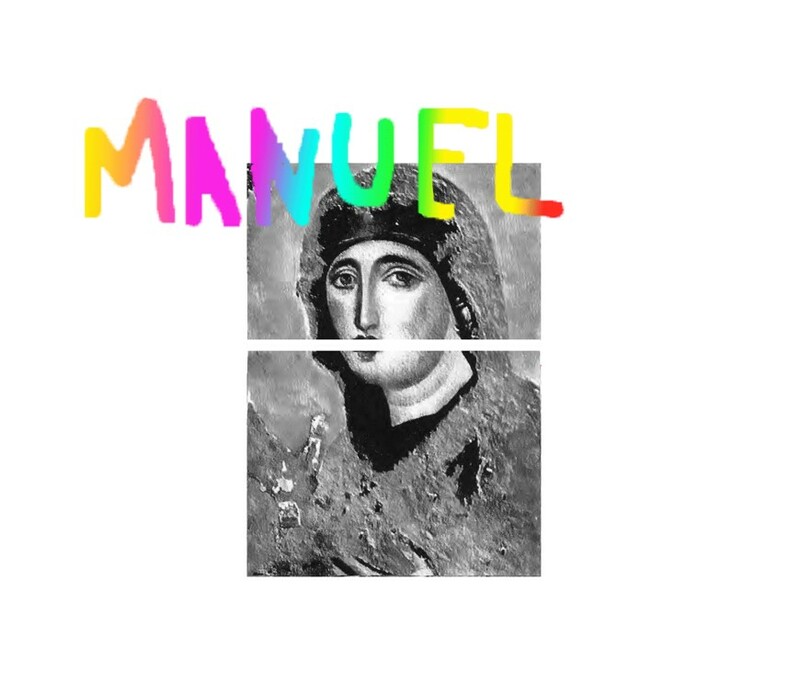 Dazed Digital: What have you concocted for Manuel? Clément Dauvent: I worked in collaboration with a friend, Davy Braun who is an art director for Getty Images. We tried to define what an icon is today, and wanted to stay away from clichés such as 20th centuries icons or religious ones – Internet and social networks were something we wanted to dig into. We hijacked a Lolcat, by replacing the classical cute kitten with a mummified cat, and used the typography of motivational posters to command ‘lulz’, ‘now laugh’. DD: What is this suggesting about icons, and their death? DD: What is the impact of the Internet on icons? Clément Dauvent: The Internet has led to a database of nothingness, of random images, doodles, children’s videos, self-portraits of total strangers. Yet every image is also a potential starting point for Internet fame. The lolcat trend is the exact opposite of a classical icon, it’s a signifier with no signified, yet it is diffused like a traditional icon. DD: How does this relate to your practice as a photographer? Clément Dauvent: This piece is very far from my usual work, but it made me reflect on the power of photography itself. Susan Sontag describes it as a ‘mortuary’ practice: because it crystallizes someone in time and uproots a situation, it has a morbid power on its subject –or soon to be ‘icon’, who knows?